Square mirrors are perfect for any bathroom space and at 600mm they're also at a size that is practical and that will easily fit into a wide range of bathrooms. 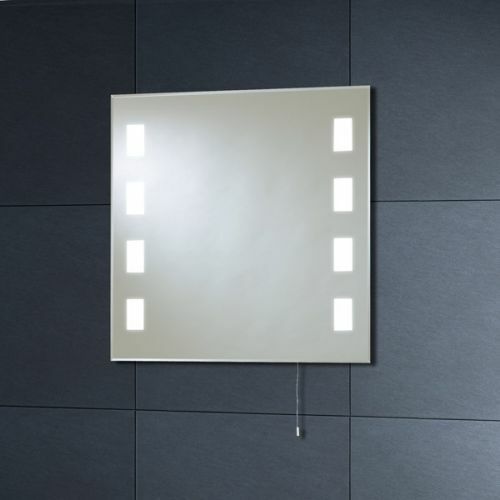 Symetrical lighting down either side of the mirror illuminates your face nice and evenly and naturally. The Calisto is a perfect mirror for close shaving or putting on your lipstick! An extensive set of features are included that you'll wonder how you lived without once installed.